For Sri Lanka waste handling and management has been a widely discussed subject. There have been several disagreements, disputes and debates surrounding the issue. It has cost many human lives flaring up in most inhuman manner. Shocking news of a mountain of waste devastating a whole area of residential houses causing a death toll of over one hundred human lives just less than two years ago, was seen as its latest culmination. The incident spurred many actions and programs which are yet to see the light of day. The speed and the momentum that was built up in the wake of the Kolonnawa episode as public concern appear to be decelerating. Is the matter going to rest composed as it was before the explosion! Plans said to be on the way are unfortunately gestating through long periods. Continuation of the state of affairs and perhaps a “status quo ante” seems to be much preferred by those sharks that were used to the taste of juicy morsels in the run of affairs than the much awaited solutions. The slowness in the approach to resolve the issue is a temptation to peep into the affairs hidden behind a heap of crap shielding the treasure of accumulated wealth and earnings of some involved in the waste-management. Alarming as they are, the entire picture is taking us towards far horizons. This has lead to a consternation, whether health, environment, cleanliness and such important elements to a decent human life could be laid by and compromised for the pillage by those in high places. The issue of waste collection dumping and proper management is mostly centered round the city of Colombo. The role played by the Colombo Municipality is extremely important in this connection. Hence with no accusing fingers pointed towards anybody the following data statistics, the veracity of which could be ascertained by anybody from sources that matter, are produced to enable the public to form their own opinion based on these. Elections were held in 2011, to elect 59 Councilors and 53 were elected and 6 were nominated. The term of this council ended in December 2015 and was extended from Dec 2015 to June 2016 by Gazette Notification. This term of the Council ended in 30th June 2016 and the administration thereafter (until the last election) came under a special commissioner . Elections were held again in February 2018 and elected 119 Councilors for a term of 4 years – returning 60 from the UNP and 59 from all other parties. An analysis of the Solid Waste Management related expenditure of the Colombo Municipal Council during the period from 2009 to 2016. Any decision making or an assessment related to the garbage issue should be based on all these factors. Any drastic increase in the costs would heavily burden the CMC budget and limit its capacity to spend on account of services to be provided to the tax paying citizens. Particularly the less affluent sectors of the society depending on various assisted facilitations should continue to enjoy those. Ironically the increase in the garbage handling has been due to a demand made by a State Organization the Sri Lanka Land Reclamation and Development Board. There cannot be any doubt to the possibility of a reasonable cost determination on a consultative basis between State Organizations in a mutually beneficial manner. The payment of a high fee would be an unfavorable bench mark for the future in the most unlikely event of CMC having to face the issue without the assistance of a state organization. Sanity should prevail in such matters and the primary consideration should be the COUNTRY and the PEOPLE. If one were to leave a problem ‘as is where is’, lot of people will forget the problem particularly if the victims are from the lower economic strata. Successive GoSL have resorted to this form of problem solving but in the long term the problems snowball. Did someone say “Stitch in time saves nine”? I saw you for the very first time on YouTube talking about banks with that Muslim gentlemen who wears suspenders – over the shoulders – whatever his name is. I am a collector of vintage comedy movies from the silent era …….. and was struck by your resemblance to Norman Wisdom ……… if you didn’t color you hair and a vee bit lighter you’d be a mirror image. I think you missed your vocation Mr Rusipala! ……. Just think of the money and the gals you could’ve had! So, it seems that a number of Lankans have sat around oval tables, looked very intellectual, and then put in all kinds of strategies in place to LOOK as though rubbish was being attended too. After the results of their long talks, workers were sent with all kinds of bulldozing equipment to push the very-same rubbish around the very- same dumping mountains. So now the rubbish has a different shape to accommodate the growing mountain, but shaped up to look smaller. Best that can be done with the rubbish is to involve it in the drainage problem, and to fill in marshy areas. Then grow vegetation on top. Use it under roads. Use it as foundation for building construction. Use it to fortify the port city development. Also is for pits to be dug in each section of Colombo, and rubbish to be taken care of, in each individual locale. Rosie has to be the first to show the good example of clearing rubbish with a spade and bucket (on a weekly basis). So much cheaper too. ok….marshy areas cannot be filled with garbage, but used as drainage areas. Why does the CMC need 119 Councilors ? What do they do on a daily basis ? What is the cost to maintain these people ? Garbage is big money to the “mafia”. Wont be surprised how many politicians get a share. In other countries garbage is turned into money by converting them into Energy, also ensuring a cleaner environment. Here it is converted into money for the corrupt, at the cost of innocent lives. Has the Government considered the amount of garbage that will be produced by the Port City and all other high rise buildings coming up in Colombo and how the Waste is to be managed. This is okay when there is an Everest of dirt behind the country’s management. I am ready to help by providing machines to turn organic waste to compost in just 24 hours. I even contacted Rosy and explained the system. We can arrest the problem at source. The problem is the inorganic waste. Thank you for such an awareness article……….instead of Language/religious discussions and disputes which is saturating the media should focus on the bigger killer we are creating for ourselves may divert the minds of our people away from the current mindset and to something more critical for their survival tomorrow. We need find a way to educate our masses bypassing all the obstacles perhaps we could ask the TV stations to translate excellent programs already exists in local languages and broadcast/give some coolness to young in the social media locally to discuss environment as there future is in jeopardy…..the sinners like us going to leave behind for them to deal with…..
Because he has established himself as the Sri Lankan equivalent of public intellectual. If one is in the public domain frequently one is expected to be stoned. On the other hand, whenever Prof Noam Chomsky, Prof Gananath Obeysekere ………… appear on public they are listen to carefully by the audience in an pin drop silent atmosphere . Now you should have known the difference between fearless public intellectuals and full time b***s carriers. When we have so many politicians with all the perks paid for by the taxed hard toil – now made more efficient by the recent tax-regime introduced by Ranil – of ordinary working people, running around doing nothing, is it the duty of us to solve these problems? Just look at the suggestions and offers to solve the problem put forward in the comments. Do you in your wildest dreams believe that any of the suggestions or offers will be accepted by the people in government whose task/responsibility is to solve them? I am a realist an ultra-realist and not a dreamer ………… and I know how these things end. ………. I know Lankans; like my own people. Only too well! Mr Rusipala is a partisan political player ………… who sees the faults of only one side and not the other ………..and these type of characters who we have an abundance of, are responsible for the situation in the country today …….. and that’s a fact we can’t bury our heads in the sand and pretend we don’t see. Mr P U. K Jayantha ……… who is the idiot now? The truth is a hard thang to face ……. but easy to skirt around with fancy steps. You still appear to b the person who deserves to wear the hat I threw. Looks like you jump to comment when you see his name! Try to understand facts before barking! As a fully grown Lankan adult with years of experience living in the shithole …………. you think that a “factual and statistics backed article” from an expert whose expertise is “The Bond scam” is going to solve the garbage problem, eh? You guys can write articles till kingdom come …………. 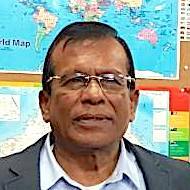 but from the little experience I have of how things work in Lanka ……….. without any article I can easily arrive at a rational conclusion how things are going to end ………… you may not know even if it falls on your head ……… but that’s called intelligence Mr Rusipala/PUK. Don’t you think this PUK guy sounds strangely like our pal Rusiri . You know, the perfect syntax, biting wit, etc? Well, he’s not mentioned “bond scam” this time, so let’s allow him his two cents. But again, the CMC had a UNP administration most of the period in question. Couldn’t have happened to a nicer guy. …………… or should I say a patriot? Never a dull moment in Lanka! an excellent introduction to solid waste management and could be shared at schools too. You will find some exceptional presentations around the world in the youtube……her website also very interesting for the young people to get involved. We need to have green parties in Sri Lanka represented in the parliment and uniting us all to shape a better place for us to live not the same old politics we are focused on for the past 70 years. Outdated/unqualified disputes/discussions/policy making does nothing to address real life issues matters to humanity in a small island.